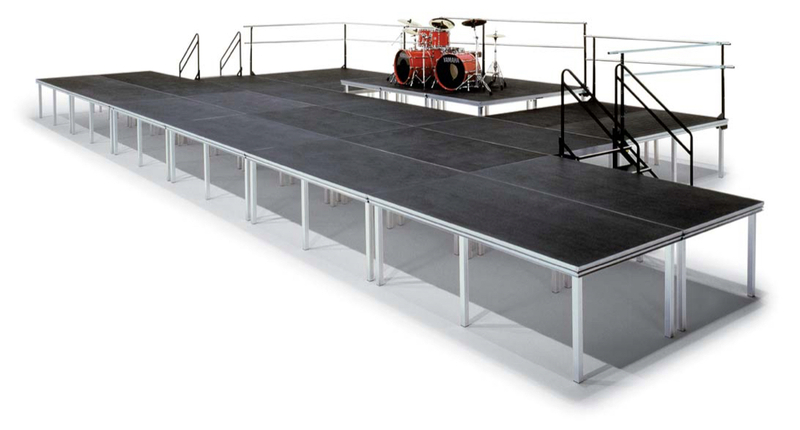 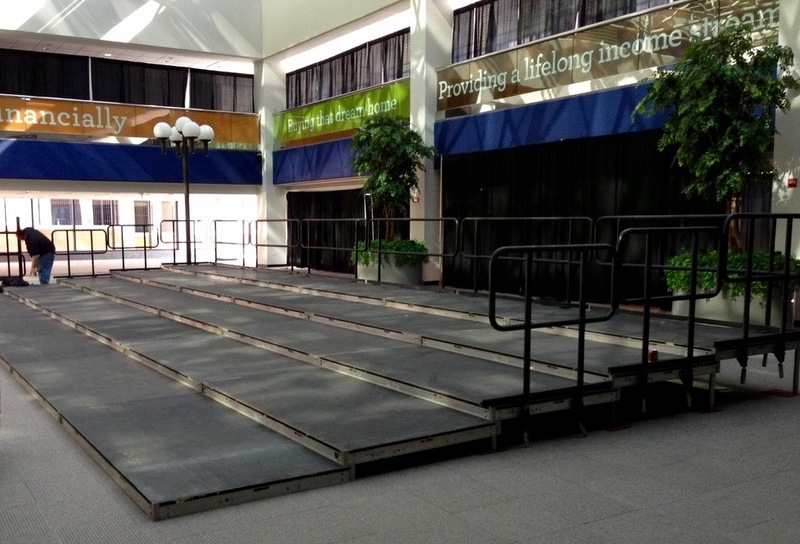 Concert Series Stages are offered in 4’x’4’ and 4’x8’ panels, we also offer complete round 8’ and 16’ stages that can be configured to suit your event needs. 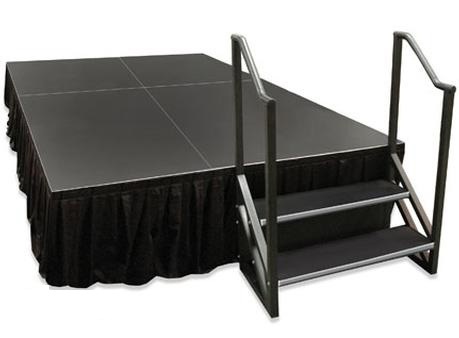 The height can be provided from 8”, 16”, 24” and 36” and can be configured in multi-level patterns. 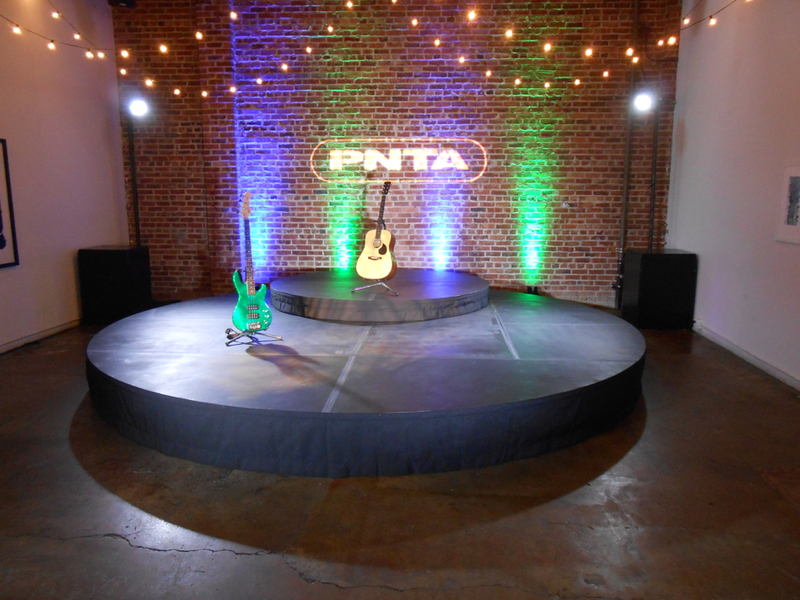 This professional grade staging can be used for inside and outside events.